It is after a long time I am posting a Sudoku Puzzles. There is lots of Sudoku Puzzles I prepared from last one year for World Sudoku Championship 2017 and Asian Sudoku Championship 2018. 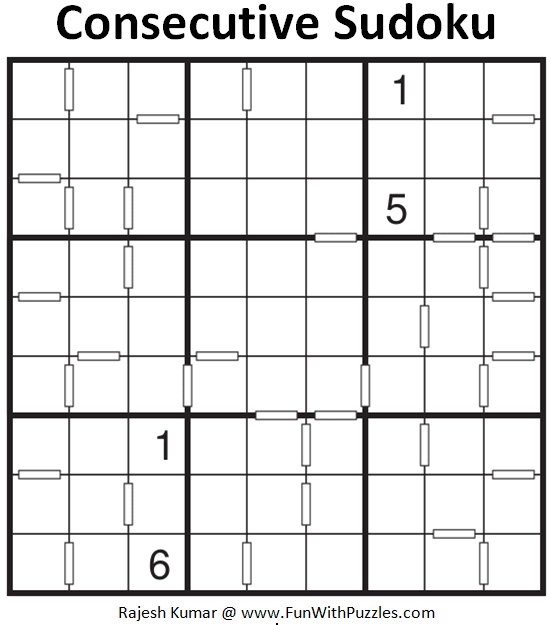 Now its time to publish some of these Sudoku Puzzles. Today I am posting two Consecutive Sudoku Puzzles which I created for Asian Sudoku Championship 2018. These Sudoku puzzles were not included in the championship. 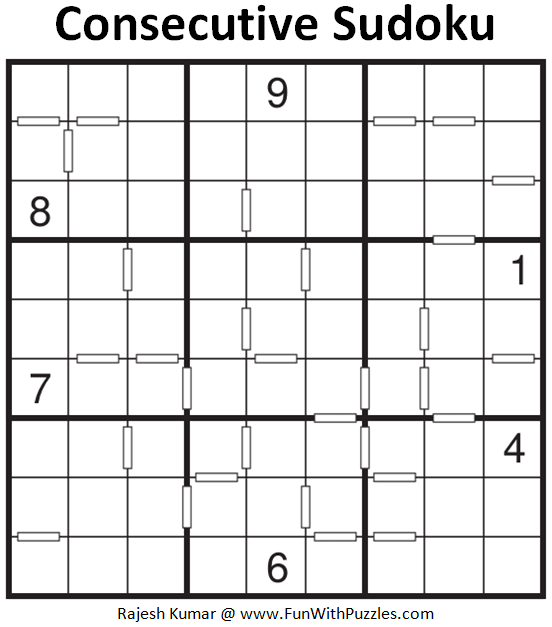 I am publishing these Consecutive Sudoku puzzles as part of Fun With Sudoku Series. These two Consecutive Sudoku Puzzles I am publishing as #263 and #264th Sudoku puzzle in Fun With Sudoku Series. Here are the next are previous Sudoku puzzles published in this series. 5:33 and 8:59.Is a bar missing in #263 between 4 and 5 in R2 ?